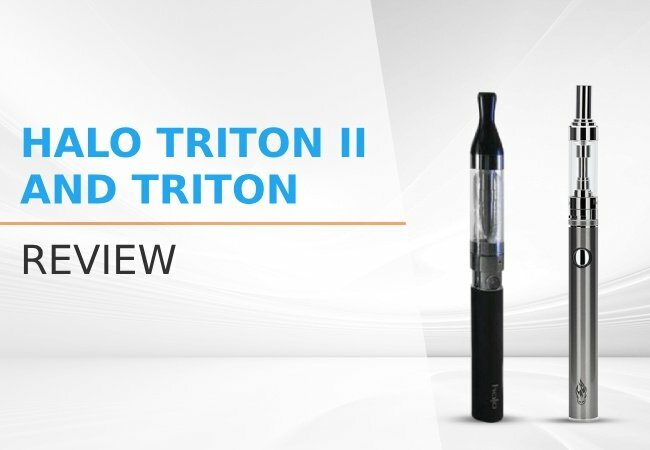 Since the beginning of vaping, users have been wanting a well-performing vaporizer but with an undetectable design. The Grasshopper Vape Pen is a wish come true, vaporizing dry herbs and disguised as a pen. Available in two different versions, you can purchase the original for $175 or the Titanium Grasshopper Vape Pen for $225. It is a revolutionary concept that is still new in the market, which is why it comes with a lifetime warranty. The Grasshopper is an innovative vaporizer which we have rated 95/100. This is truly remarkable considering that the product is still fairly new to the market and the production still needs to get a little more streamlined. Other than the fact that it is completely undetectable, the craftsmanship, heating and vapor quality of the Grasshopper is truly unlike any other, especially at this price. The following review is going to give you everything there is to know about the Grasshopper Vape and any potential drawbacks to this product. Our review is based on our experience and is not biased whatsoever towards the product or the brand. You would think that such a tiny contraption would not be able to have a high heat output. But the Grasshopper comes with a powerful heater which outputs 45W (like in the best temp control mods). This is phenomenal especially if you compare it with a vaporizer like the Mighty Vape which is a beast and runs on a 30W heater. The heater heats up the Grasshopper to an on-demand heat setting, in approximately 5 seconds. We found that the best way to use this pen is to activate the tactile clicker, draw deeply, and turn the clicker off by clicking it again. You may continue to inhale for a couple of seconds after the button is turned off, to ensure that any remaining vapor is drawn out. This method helps reduce smell as well. The mouthpiece gets super hot after using it for a while but it is created using silicone which protects the lips. The mouthpiece component fits perfectly with a 14mm water pipe adapter too. One of the most common drawbacks of other portable vapes is that the heater doesn’t give consistent heating to keep up with the continuous aggressive draws. The Grasshopper passes this test with flying colors! You can draw on it as deeply as you want and vapor will produce continuously. This lets you have rapid doses without having to wait for the vapor to form again. Compared to the size of this unit, the heating chamber is huge. We were able to stuff 0.3 grams to the brim into the chamber, and the herbs weren’t even finely ground up. Considering this, a little more herb amount can be tight packed if they are finely milled. We were also able to evenly and completely vape the entire contents in three hits, using the mouthpiece and a 18-14mm reducer. The consistency and distribution of the herbs vaped was very impressive, regardless of however it was packed. It doesn’t matter whether it is loosely packed or tightly, you will get an even vape every single time. The Grasshopper is currently one of the smallest and discreet vaporizers on the market due to its disguise of a pen. The clip that mimics the pen cap makes it easy to attach it to the pockets of your jeans or shorts or even the front pocket of your shirt. The precise size specifications of the Grasshopper are 5.60 inches long and 0.55 inches wide. The Stainless Steel Grasshopper weighs around 65 grams and the Titanium version weighs about 56 grams. There was a definite weight difference between the two items but still manage to be pretty light and retain the weight of an actual pen. The size and portability section has covered how the Grasshopper Pen Vape is discreet in terms of its build. But the good news is that it performs quietly as well and won’t give away the disguise of a pen. IT sure had some of our staff fooled! In the box with the Grasshopper Vaporizer, you will get a mouthpiece guard along with some extra mouthpiece screens and a USB system for charging. The company has mentioned a possible addition of a cleaning tool and a tool for loading in the near future. This tool may also potentially be used for removing the mouthpiece screens but is still an idea in progress for now. Clean up is ridiculously simple; just remove the mouthpiece with the screen attached, which is placed where the pen head of a pen usually is, and completely dip it into ISO. The body, on the other hand, can be submerged in the liquid only up to a certain level. The battery of the Grasshopper charges in less than an hour, but even so we picked up some extra batteries and an external charging dock. You have the option of plugging the product into the USB charger throughout the day for quick charging. A true vape connoisseur will truly appreciate the Grasshopper Pen Vape, as it is definitely worth adding to a collection. If you are just a regular vaper, you will fall in love with this pen because it will put an end to situations where you are likely to get caught. Being extremely easy to use and producing huge clouds with fantastic taste, the Grasshopper is an excellent vape for both beginners and advanced vapers. 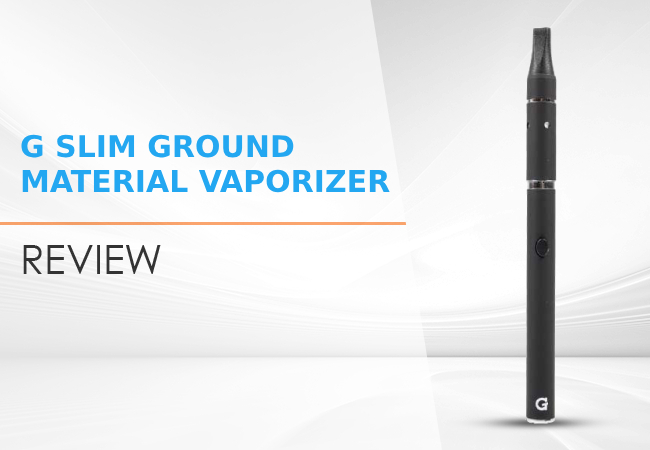 G Slim Ground Material Vaporizer: a new and improved vape pen. There has never been a more affordable and easier way to fully enjoy your preferred herbs on-the-move. I bought their vape 6 months ago and NEVER received it. Their replies to my repeating emails are always stalling for more time, assuring everything is right, just a small delay. After minimal use from my Grasshopper vape it stopped charging. I contacted the manufacturer and was told I should replace the battery. I purchased 2 batteries and before I ever received them I was told maybe I should send it back for analysis and repair. I sent it back on May 18, 2018 and they logged it in on June 1, 2018. It is now September 11, 2018 and I have not received my Grasshopper vape back. I emailed 4 times and was told they will do an update on the “My Account” page but have not. They will not tell me when I will get my Grasshopper vape back and it is now 3 ½ months later. Do yourself a favor and buy a Pax. Their service is fantastic. We now have a Pax 2 (mine) a Pax 3 (my wife’s, and 2 Pax ERA for travel. Any issues were dealt with and we received a new or repaired Pax within a week. Is the battery a commercially available size – & if so, what size – or is the only place you can get them is from Grasshopper?